It's The Great Halloween Asteroid, Charlie Bolden! On Halloween, a frightfully large chunk of cosmic rock will pass close to the Earth—but don't be afraid. This flying apparition poses no danger. It's merely getting into the Halloween spirit, sneaking up in the dark and giving a good, hearty "Boo!" to the people of Earth... . The rock is called asteroid 2015 TB145, and—discovered just three weeks ago—is fresh ink on the list of known "Near-Earth Objects" kept by the International Astronomical Union's Minor Planet Center. This family encompasses asteroids in a range of sizes that come closer than 1.3 Astronomical Units from the sun. (1 Astronomical Unit is equal to the distance from the sun to Earth.) 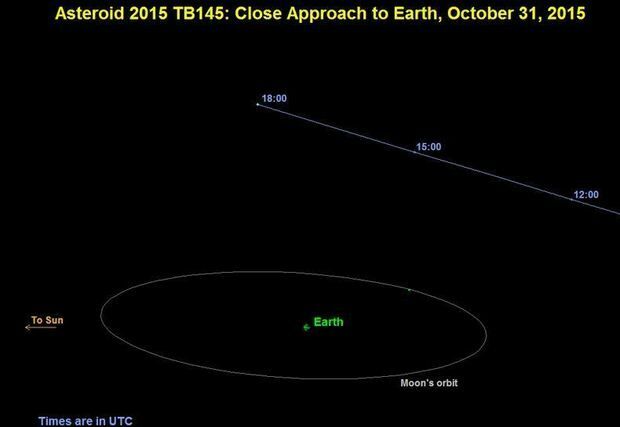 Asteroid 2015 TB145 was discovered on October 10th by the University of Hawaii's Panoramic Survey Telescope and Rapid Response System. 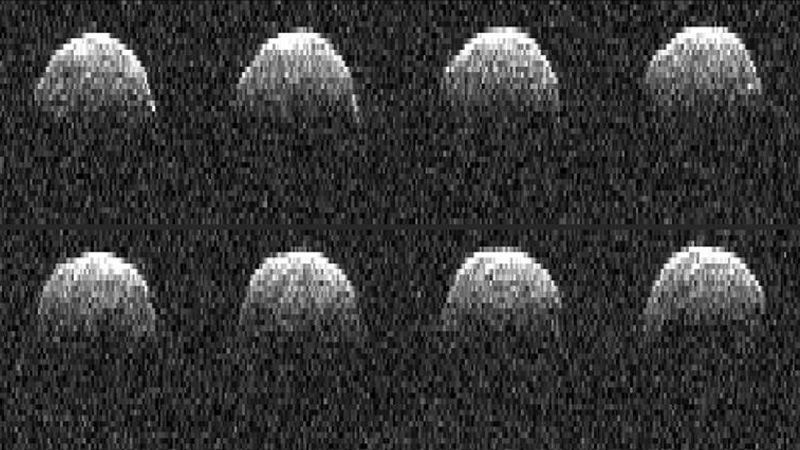 NASA has been tracking this asteroid with particular interest. Its size and close passage make it not only a potential Earth-impact threat to be monitored, but present an opportunity to learn more about small solar system objects. 2015 TB145 is estimated to be between 900 and 2,000 feet across. (For comparison, the Empire State Building in New York is about 1,200 feet tall.) It is one of the largest asteroids to pass close to Earth in many years, and nothing larger (that we know of) will come closer until August of 2027. Each time a big space rock passes near us, it sparks a renewed interest in Near-Earth Objects (NEOs) and the probability of major impacts with Earth. Major impacts, occasionally globally devastating, have occurred in the past—and the so-called "Dinosaur Killer" asteroid impact 65 million years ago wasn't even the largest one. On average, an object the size of 2015 TB145 collides with the Earth every 150,000 to 200,000 years. Perhaps the most recent collision with Earth by an object of similar size to 2015 TB145 took place in Argentina less than 100,000 years ago. 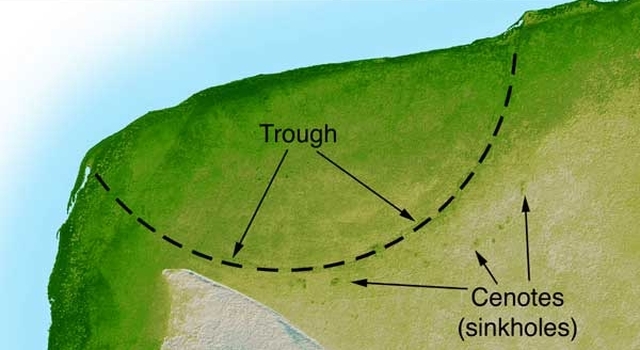 The "Rio Cuarto" impact field is a complex of teardrop-shaped craters thought to have formed when an asteroid struck the Earth's surface at a oblique, grazing angle, then broke into multiple chunks that gouged out 10 impact scars, the largest about three-quarters of a mile wide and three miles long. By observing and tracking NEOs, the Minor Planet Center maintains a body of data that can be used to calculate the probability of impacts in the future—at least for NEOs whose existence are known; there are many more NEOs believed to exist that have not yet been detected. Even 2015 TB145, though quite large, was unknown before October 10th. Fortunately, the orbit of this asteroid will carry it no closer than about 302,500 miles from Earth, or about 30% farther than the moon. Closest approach will take place at about 10:00 a.m. PDT on October 31st. As it flies by us, NASA's large radio telescope at the Goldstone Deep Space Communications Complex in the Mojave Desert will bounce radio waves off of the asteroid, which will echo back to us and be collected by radio telescopes in Green Bank, West Virginia and the National Astronomy and Ionosphere Center's Arecibo Observatory in Puerto Rico. These measurements will give observers better estimates of the asteroid's actual size and refined projections of its orbit around the sun, which, in turn, will improve our ability to predict if, and when, 2015 TB145 might one night return to spook us again—or potentially even hit us! Wouldn't that be scary? Not this time, though. 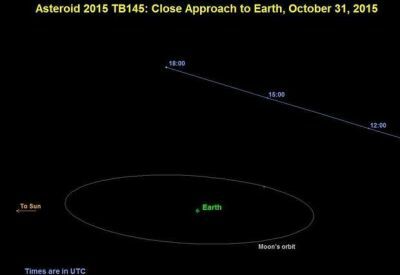 Some of the properties of 2015 TB145's orbit around the sun—its inclination, or "tilt," as well as its eccentricity (how stretched out versus circular it is)—suggest that it may not be an asteroid. It might be the remnant of an old comet: the largely rocky leftovers after most of a comet's ices have evaporated. Scientists are still debating this possibility, and perhaps the data that will be collected during the flyby will help clarify its nature and origin. On Friday night, October 30th, Chabot Space & Science Center's observatory deck will remain open past its normal public viewing hours to offer visitors a chance to see asteroid 2015 TB145 through a large telescope—as always, weather permitting. The asteroid will rise high enough in the sky to be seen through Chabot's telescopes by about 10:45 p.m., and Chabot's observatory will remain open until 1:00 a.m.
And in case you didn't know, Charlie Bolden is the administrator of NASA.